You can thank the bumper of a car for this invention! The inventor of this was inspired after he had to use his car bumper. He realized there must be a better way so he came up with this. What? Hint ….. He had to use the bumper when he forgot his “Church Key”. Congratulations to Matt Thompson of St. Albans. He realized we were talking about Pull Tops on cans. 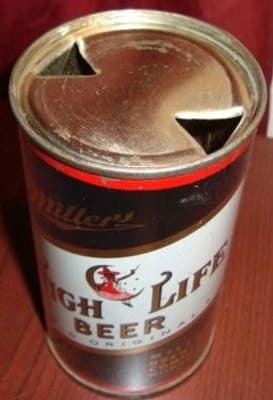 Ermal Cleon Fraze had beer at a picnic but forgot a “Church Key” to poke a hole in his beer can. He invented the pull top.